Ingredients you'll need: Peruvian Rice (1 bag) from Trader Joe's, Herb Mix salad greens, cherry tomatoes, lemon, olive oil, salt & pepper and sour cream (optional). 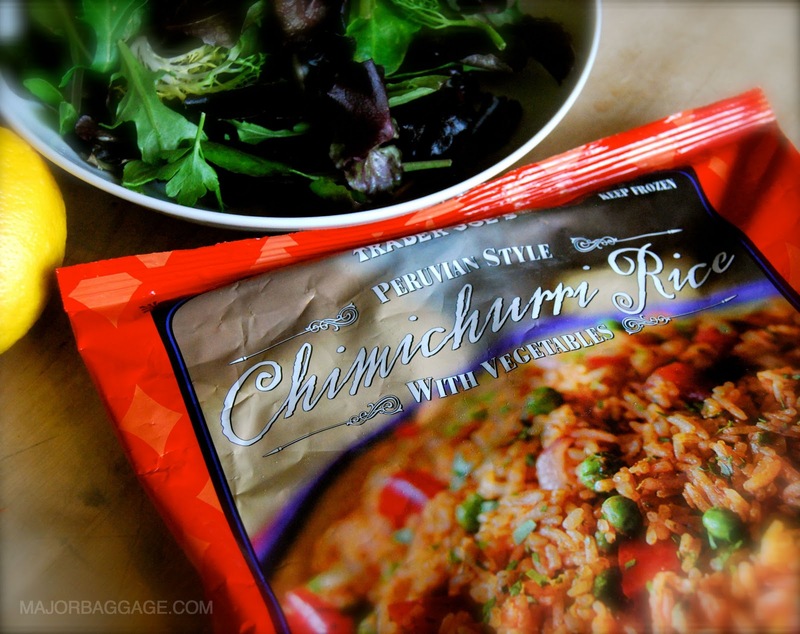 Found in the freezer section at TJ's - Before you prepare the greens, follow directions on the package for a quick stove tope saute. Once you have the rice going, start getting the salad together. 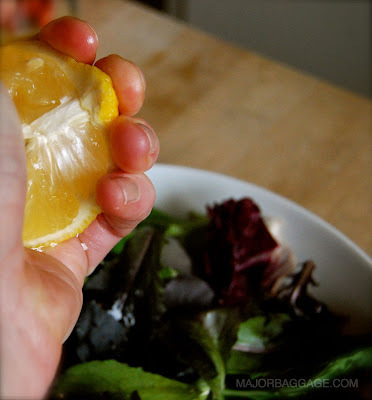 Key is to use a salad blend with herbs (this can also be found at TJ's). You want all the extra flavors from the arugula, dill, radicchio to come out when you add the hot rice. Squeeze in about a half lemon, a couple light swirls of extra virgin olive oil and some salt and fresh ground pepper. Give a light toss. 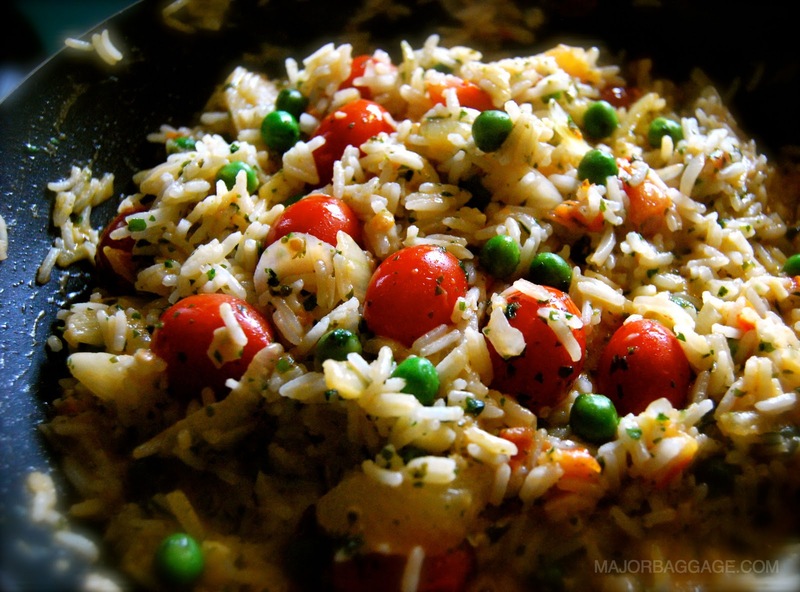 I added in some tasty cherry tomatoes while the rice was cooking - It's just another burst of flavor that I love. 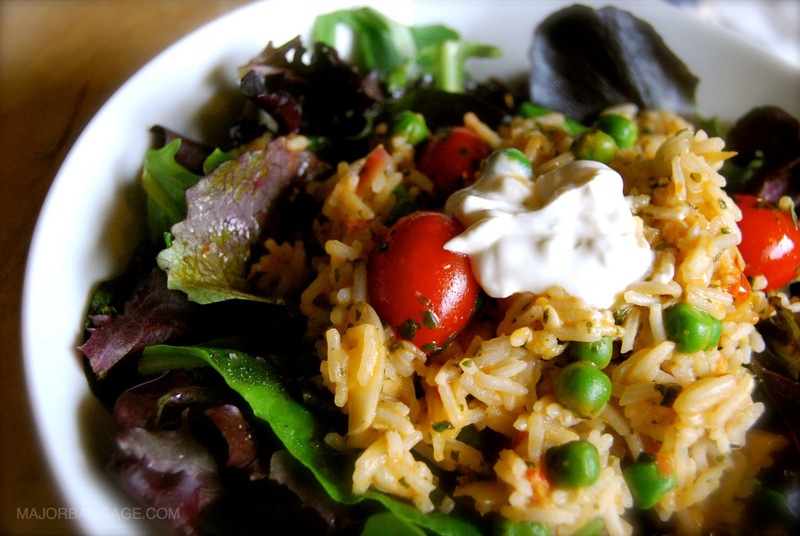 Finally, add a nice scoopful of the rice (straight from the stove top) to your salad and top with a dollop of sour cream (or not if you want to avoid the calories) I like it as it adds just a touch of cream to the rice and all the flavors mix well together.